Listen to the music! 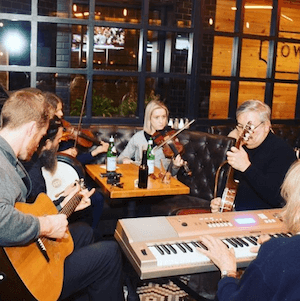 Enjoy live Irish music every Tuesday night at the Lower Mills Tavern. Irish Session takes place on Tuesdays from 8pm-10pm. No cover. Musicians welcome. Kitchen is open late!